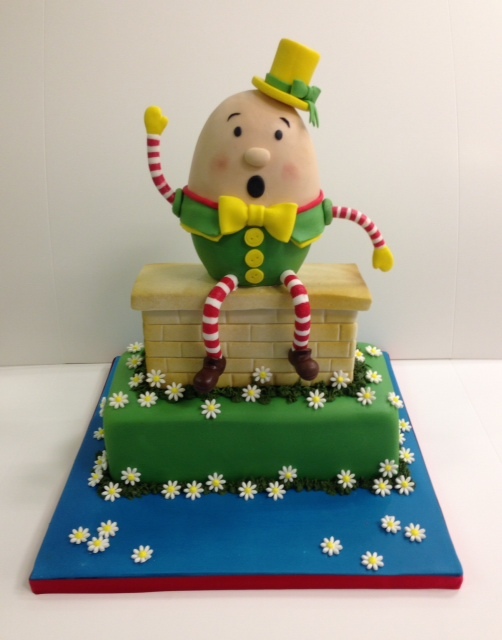 We love being asked to design cakes around a theme and when a client said that they needed two cakes designed around nursery rhymes, we jumped at the chance to create something really cute and fun. 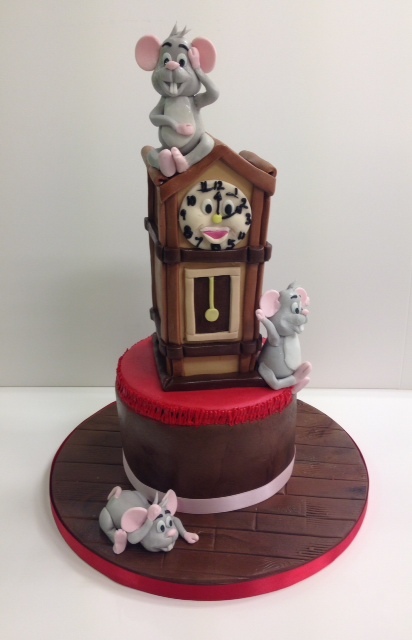 We were asked to design a cake to represent Hickory Dickory Dock and Humpty Dumpty. This is what we came up with. I particularly love the cute mice running up the clock on the birthday cake.